Now we need to find out a leap year by using conditional operator using C programming language. if expression is true then it picks value1 else value2. 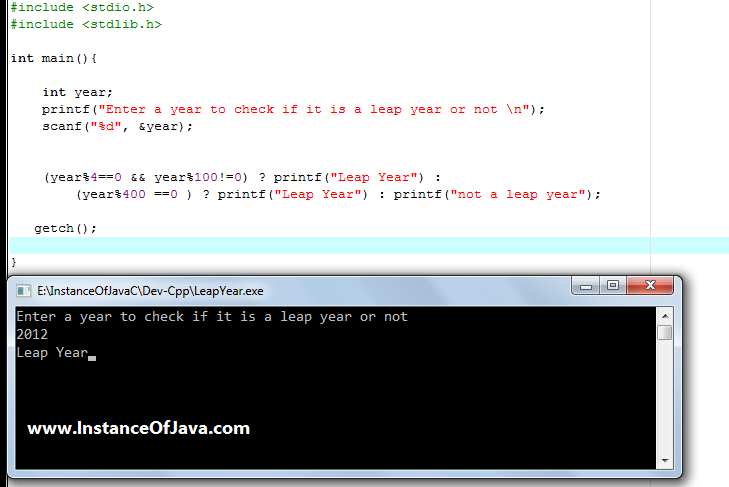 Let us see an example C program to check a year is leap year or not by using conditional operator. Program #1: Write a C program to find leap year using conditional operator without using any function and loops.